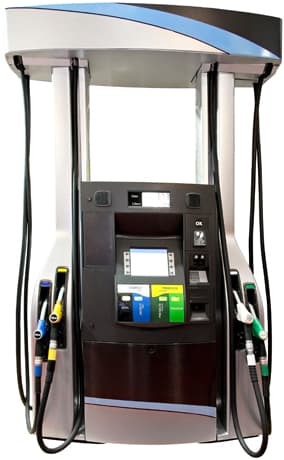 The client is a fuel pump, point-of-sale technology service provider to independent c-store operators, owners, and distributors in the fuel handling, petroleum, and service station industry. They provide services that include EMV (Europay, Mastercard, and Visa) complaint POS solutions, integrations, and applications for fuel dispensers. Given the ubiquity of EMV compliance, the client needed to leverage greater scalability in their multi-functional software offerings, an expansion that would position them for overall growth was outlined and developed to heighten ease-of use with EMV equipment often considered expensive, complex to use, and complicated to install. The client leverages the latest in fuel payment technology to provide simple app installation, functional software application, and powerful forecourt controllers. They also serve their customers with industry specific hardware solutions and maintenance support for the integration and application of fueling systems, fuel handling equipment, petroleum equipment and service station equipment. The client needed a custom software solutions firm to build a clover integrated gas and sales management application that functions on both Clover station and Clover mobile platforms. The application required a fuel pump POS system, an multidimensional technology that integrates gas station fuel dispensers with conventional point of sale systems using Allied NeXGen APIs. In addition, the client required an application featuring various back-office functions such as tank monitoring systems, fuel dispenser automation, and payment authorization with a seamless user interface to ensure ease of use. Clover is an all-in-one, cloud-based POS platform. This product replaces the need for traditional supplementary hardware and cash registers. 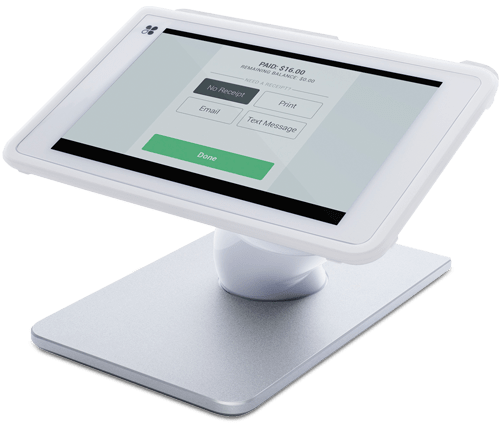 The Clover system features payment terminals, receipt printers, and barcode scanners with an integrated suite of products, while accepting all payment types such as EMV and Apple Pay. Clover allows businesses to streamline their workload with basic POS functionalities. Clover allows you to track inventory, create and view reports, and monitor your revenue stream. Essentially, Chetu's application would work in conjunction with Clover POS systems. We needed to engineer an Android base that would integrate with Clover's off-the-shelf code. To give these two technologies a platform to communicate across, Chetu implemented Allied NeXGen APIs that served as an interface between Clover and the pump application. This implementation opened up the door to a plethora of functionalities—the clover app maintained constant, free-flowing dialogue with the fuel dispensers, processing transaction requests through the native payment gateway in real-time. The app was also programmed to manage sales, information, and receipt through the cloud. The client requested Chetu use Clover POS technologies to create a pre-pay and pay-at-the-pump POS, an application that allows cashiers to process fuel and in-store item transactions. Chetu developers created an integrated sale module with PCI compliant card readers responsible for the selling of store products and inventory tracking implementing Clover as a POS system. As the application evolved, so did the capabilities. Users are able to swipe their card directly on the Clover POS or at the fuel pump. Payment information is passed from the fuel pump to the Clover application through Allied NeXGen APIs, and the app then sends the information to the payment gateway for authorization. Pricing details (volume/price) is accessed through the dispenser. Chetu engineers compartmentalized the application into several modular layers: An Allied NeXGen interface, sales module, payment gateway module, and gas fueling module. The payment processing module is responsible for tracking and securing payment details for proper authorization. Once authorized, a request is sent to the particular fuel dispenser to initiate gas fueling. Sale Module: responsible for the sale of gas station products and the billing of those products. Clover will use preinstalled register and Inventory application for maintaining the inventory of the store. This new application handles sales without switching to another application. Gas Fueling System: Gas fueling system on Clover is responsible for generating a request to the fuel dispenser. Chetu created a user interface where the user will select a pump, generating a require request to that pump. Clover will authorize the pump for a particular amount of gas either by amount or volume. Payment Gateway Module: Clover fetches card data from by Clover System or fuel dispenser. This module integrates with the Clover services to finalize the payment transactions. Allied NeXGen Interface: Once the request is authorized through above mentioned Payment Gateway Module, then this interface sends a request to the Fuel Dispenser or vice versa, through Allied NeXGen APIs. The client received the final deliverable and immediately brought the software to market. The new application coexisted productively with the Clover system, supporting at-pump sales and maintaining all functionality of the traditional Clover POS. With leading payment security that includes EMV, PCI and point-to-point encryption the client is able to leverage an application with protection against fraud and hacking. In addition Clover POS was able to consolidate multiple business management functions into one solution.